Happy Tuesday! 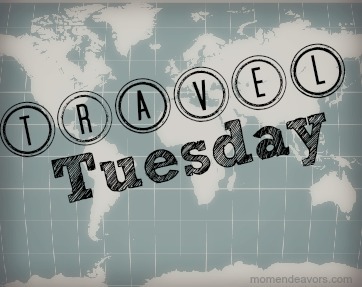 I have so many fun travel related posts that I can share with you, so I decided to make “Travel Tuesday” an ongoing weekly feature here on Mom Endeavors. There are still so many fun Cars Land & Disney posts to share from our trip earlier in the summer, plus fun from other trips, some travel tips, and a few products! So, we’re kicking off Travel Tuesdays with a product for the kind of traveling we all do the most of…car trips! 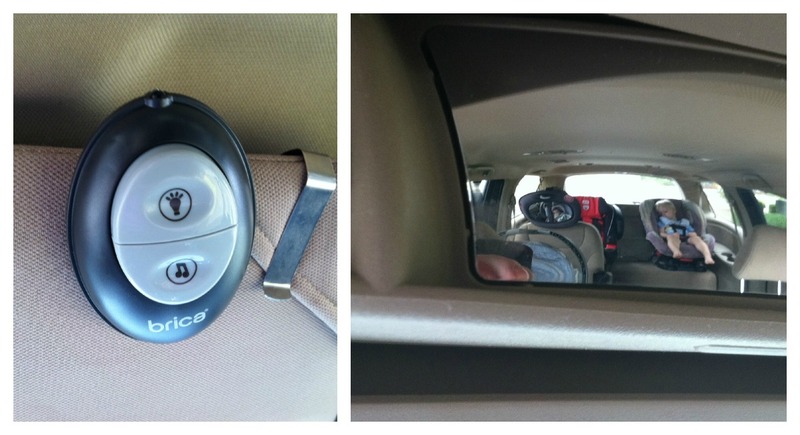 With a baby in a rear-facing car seat, I find that having a car mirror is essential. I feel like I have to see if everything is “ok” with this extra special cargo. Our old car mirror had a crack in it, making things harder to see. So, I was super thrilled to try out the new “day & night light musical auto mirror” from Brica! Some of the special features looked especially appealing! This is a great mirror! I absolutely love the fact that there is a light (that is just the right amount of brightness). It’s so nice to be able to see him at night– a feature missing on a lot of the mirrors out there. And, the remote is a big plus. It’s so neat that I can control both the light & music from the front seat. Our old mirror had a musical option too, but it was a timer deal. I couldn’t control it from the front at all. This is so much better! The music has actually helped calm him on a couple of trips already. For an MSRP of $24.99, I think it’s the perfect car mirror! You can buy one, of course, or….win it!! One lucky Mom Endeav­ors’ reader will win a Brica Day & Night Light Musical Mirror. Use the Raf­fle­copter form below to sub­mit entries. To enter, click the but­ton that says, “Do it!”, and then com­plete that spe­cific task. Each time you do this, you get one entry. Then con­tinue on, and do as many (or as few) tasks as you like. ONE LUCKY WINNER gets the prize package!! Dis­clo­sure: I received the Brica mirror shown above for the pur­poses of review. As always, all opin­ions and expe­ri­ences are my own. Our mirror has a crack too, so we’re in need of a replacement. I love the idea of the nightlight, especially for road trips. We always have a cooler with drinks and reusable baggies with snacks! 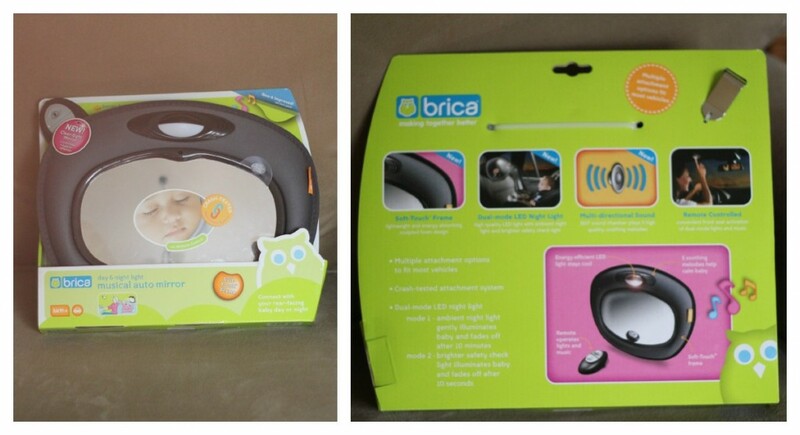 I am really loving the Brica products! This one would be great for our long car ride trip we are planning in January! snacks are a must have! Snacks, diapers, wipes, toys to keep him busy, bottles! snacks, drinks, dvd player, crayons and paper and a flashlight. Diaper bag with pacifier, washclothes and toys. 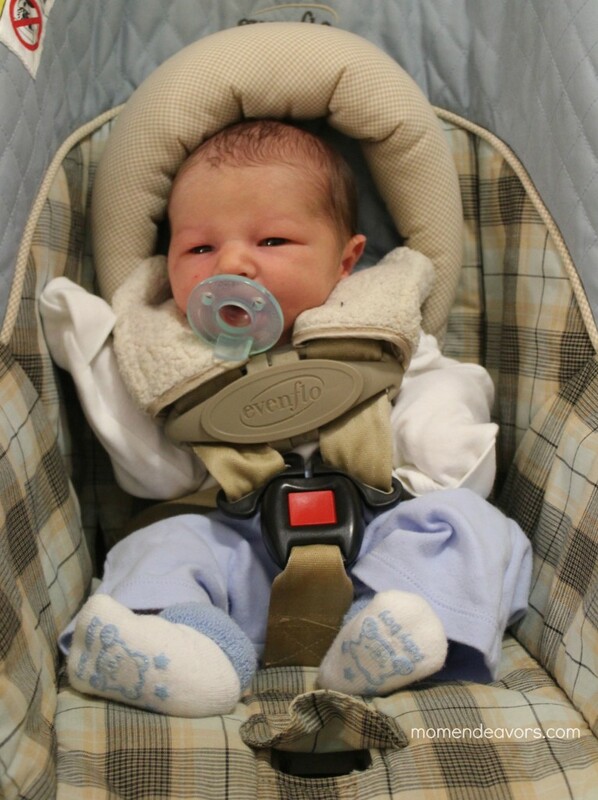 Extra clothes and plenty of wipes!